Instead of a bad mama jama, Charity is a bad mama right now. She is face down on her coach passed out while her son Nathan is screaming his head off. It’s so loud that Lady Mae and Marisol, holding Nathan, confront her. Lady Mae says that Marisol heard the child over the dryer in another part of the house. After asking Charity if she is under the influence, she says, “I’m going to take this pharmacy of yours and throw it in the toilet.” And then she gets gully with it. “Don’t put me in the position where I have to agree with Kevin,” Lady Mae says. “On what?” Charity asks. “Your fitness as a mother.” Wow. It seems that not even Sophia’s mother can comfort her daughter right now. And even Zora in all of her self-centered stupidity realizes it. She goes to Sophia’s room and apologizes for how she treated her cousin just before she was taken to the emergency room. “I didn’t know you were really sick.” Sophia says, “I forgive you. Now go to hell!” Yeah, she’s mad…”You made a joke about me getting pregnant,” Sophia says. “I don’t want an apology from anyone like you.” Was that Sophia’s way of calling her cousin a heathen?! Grace is able to distract herself a bit from her daughter’s woes when her man Darius calls. He asks her is the legal defense fund she has created up and running as woman who was apparently abused has now killed her husband. Speaking of husbands, Rochelle is still trying to steal Lady Mae’s soon-to-be ex-husband. Rochelle meets with Bishop at his office and says she can help him with his tax bill. After telling him about crytocurrency, she says, “People are getting rich quick.” “Can we?” Bishop asks. Also now in her office as well, Lady Mae calls home to check on Charity. After Marisol informs Lady Mae that Charity is still on her sofa, she tells Marisol to have the power turned off in her suite. That should wake her up! But Lady Mae, like Bishop, also has a guest to entertain in her office. Maxine Patterson shows up at Calvary to much fanfare. After Maxine promises everyone that she will sign autographs and take pictures later, the two, called “sister warriors” by Lady Mae’s starstruck assistant Karine, retire to Lady Mae’s office. Minutes later, Rochelle meets with Grace and Darius. Darius tells Rochelle about the abused woman who finally killed her husband, but all Rochelle can do is gawk at Darius right in front of his girlfriend! “Is that a custom shirt? It fits you so well.” Rather than be straight up offended, Grace is kind of amused by it probably it confirms something she already knows: Rochelle cannot be trusted. She has to keep an eye on her. I am so through with Zora!!! The girl took Marisol’s cell phone from her purse to call Christian Breezy aka Isaiah. She played nice with her grandmother Lady Mae when she first came to stay with her at the estate, but now, she is acting like she was raised by a pack of wolves. After Lady Mae reminds her of the rules (no computer and no phone and no talking to that boy) Lady Mae rightly calls her out for her disrespect and Zora responds with, “I hate it here.” Lady Mae says, “What you hate is yourself.” Exactly. Any girl that would continue to be with a boy who beats and disrespects her on some level hates herself! Zora calls her mother Kerissa to tell her that she wants to come home, but Jacob vetoes that request. Meanwhile in another part of the house, the Iyanla Vanzant (who is playing herself), Maxine Patterson’s soul doctor, is also attempting to have a breakthough with Charity who looks like she was raised by wolves at this point – hair and eyes all wild… She asks her, “Why take painkillers? All I see is pain” with her trademark term of endearment “Beloved.” (Why is it that every time I hear her use this term, I want to laugh? It’s not right, but I know it’s okay! LOL. Y’all pray for me.). Charity tells her that “no one cares about me.” Iyanla asks her “Did you embarrass yourself by marrying a man who is gay?” “He hid it from me,” she replies. “I find it hard to believe that he was able to hide a secret that big!” Iyanla says. Say that, Iyanla! I knew from the the first episode of “Greenleaf” that Kevin was gay! Charity goes on to tell her that she married Kevin because he made her feel safe in her home. Iyanla asks, “What would it take for you to feel safe and wanted?” I bet Iyanla helped to write her lines, don’t you? And yet in another part of estate, Sophia is still in pain (and she will be for quite some time). It must feel like she’s been thrown to the wolves after learning that she is sterile in the last episode. I still find it harsh that the writers feel it necessary to put her through so much. But her boyfriend Roberto is trying to help her through it. He brings a pink teddy bear to her in her bedroom. Still in her pajamas, she says, “Sorry I’m such a buzzkill.” He says, “Want to pray about it?” Sophia responds with, “Not really.” She is feeling sorry for herself and says, “I will never have kids, and I have to take hormones for the rest of my life. He did this.” I’m a bit surprised that she shared all of the details with her boyfriend. I thought she would have kept some of the details to herself, but it’s good that she shared all of it with him. He’s pretty mature for a teenage boy as he is trying to be there for her when it seems that many teenage boys would have have just stopped seeing her. He tells her that the Bible is full of women who were barren but later had kids. She yells, “I’m not barren. I’m sterile.” Aren’t they pretty much the same thing? Bishop and Lady Mae seem to have finally made peace with the fact that their marriage is over as they calmly discuss the statement they will be making come Sunday morning. Still, Bishop tells her to make sure that she adds a farewell because “there won’t be another chance to say it.” Has he met his soon-to-be ex-wife before? She always gets everything she wants…But in this moment, she doesn’t cause a ruckus as the two plan to meet with Iyanla and Charity before they go to church. After this meeting and before church, Bishop says to Lady Mae, “You can have the house. I will take care of the IRS bill, but you have to leave the church.” Surprisingly, she agrees with one stipulation. “I want ‘A Day With Lady Mae. '” (I guess this is a Women’s Service of some sort) Bishop agrees but tells her that after that she has to move on. At church, Zora is still intent on getting everything she wants and calls that boy while she is in someone’s office. That child is off the rails. Will Lady Mae get everything she wants? Instead of thanking Iyanla for getting through to Charity, Lady Mae tells her that she didn’t appreciate being “bushwhacked.” Iyanla points that it was her daughter’s truth. Lady Mae says Iyanla made it seem like her problems were all of her fault. There Lady Mae goes again…deflecting like the devil wants her to… She points that she is already blamed by her eldest daughter but she won’t be blamed by her youngest daughter. And there you have it. Why Lady Mae cannot stand Grace. Grace calls her mother out on her issues. Iyanla sees through the smoke screen and says she can come to her when she is ready to deal with her own pain. She goes outside to the pier and throws her chain (I think she received it when she was baptized.) in the lake. And there she goes. 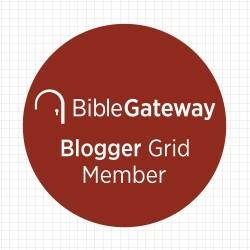 Walking away from God. Not Good. But I understand. Thank you sooo much for reading my Greenleaf Recap Season 3 Episode 6: She Changes Everything and my other recaps so far. 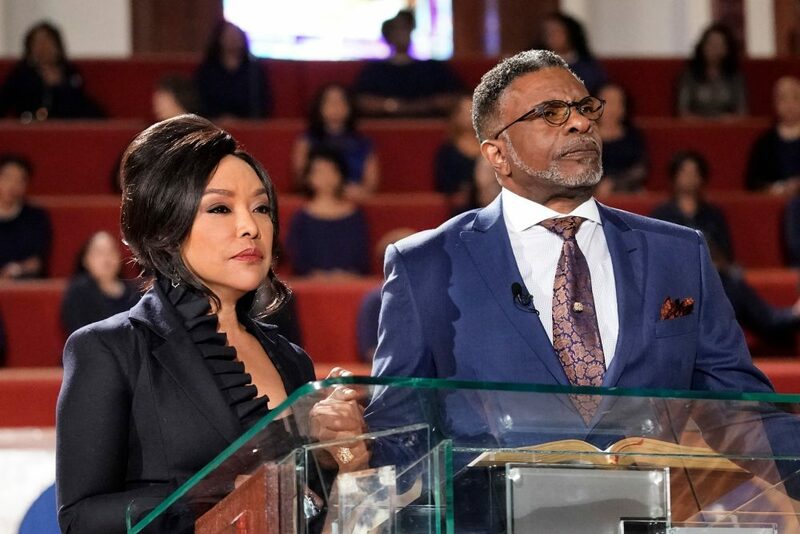 If you would like to keep up with OWN’s “Greenleaf,” and my recaps, please click on this link to subscribe to my blog 🙂! Wonderful job Sister Jackie! The way that Lady Mae “attacks” Charity hits home to me. Even when I express my insecurities and anxiety to my mother, she would say I’m being too “whiney” which isn’t cool one freaking bit. You pointed it out yourself that even when Charity brings up her issues, Lady Mae magically pivots and makes herself into a victim. I scream at the screen “IT’S NOT ABOUT YOU MAE!!! !” Zora is walking the line towards being like Tariq from Power. I want to whoop her myself, but I guess that’s good writing. I wish Roberto didn’t say what he said to Sophia because reality is a very bitter pill to swallow. I especially wish the Bishop would do his research about cryptocurrency (bitcoin) and understand that’s a volatile way to lose all your money. Iyanla was the true icing on the cake in that episode. 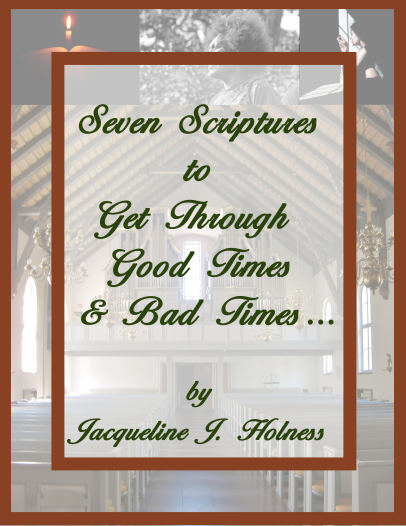 Sister Jackie, your blog is very very therapeutic for me, and I thank God that I found it. Keep it up sista girl! Yes, Ilyssa, we invalidate people’s feelings when we try to defend ourselves instead of just listening…Lady Mae thinks she wants to listen, but she really doesn’t. She really just wants Charity to act right without getting to the root of why she is acting the way she is! But I do kind of feel sorry for Lady Mae because as Iyanla ( I love me some Iyanla too) said, she’s in pain too although she doesn’t realize it…And Zora is just a wild child. Everyone family has one I guess. I like Roberto and Sophia’s relationship. I hope they stay together though. Who knows what the writers are going to do with the two of them though. And trying to get rich fast rarely works! Great recap! I really appreciate you . Thank you so much Patricia 🙂 The feeling is mutual!